Two Hungry Bees, who popped up in Nunhead in September, are cooking at The Catford Canteen on Saturday 9th November. It's £30 per ticket, and you are allowed to bring your own alcohol. 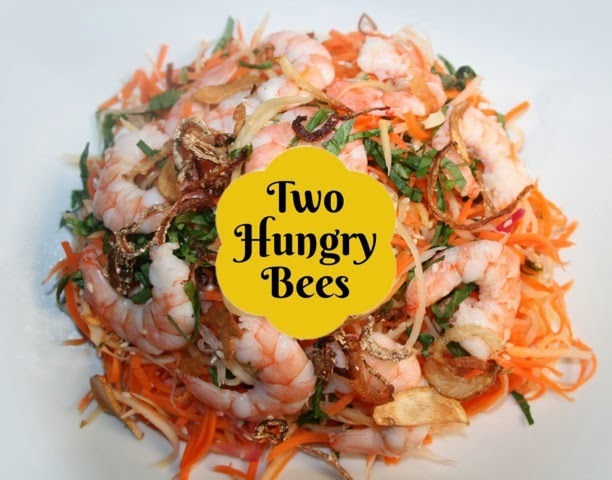 "Two Hungry Bees invites you to enjoy our fresh and authentic Vietnamese cuisine at Catford Canteen. The interactive dining experience will allow diners to learn our culinary secret and enjoy live demonstrations. Our settings are always informal and friendly, so come and make new friends and have a feast! The menu will feature our favourites, with a special option of a meat free cuisines for vegetarian. The Vegetarian dishes are inspired by the Buddhist Interhelp community that supports the practice of mindfulness as taught by Vietnamese Zen Master Thich Nhat Hanh. Two bottles of Saigon beer OR fruit juices. Guests are permitted to bring their own alcohol"